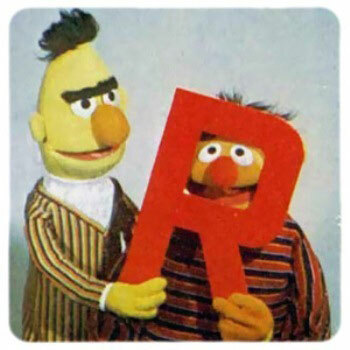 Below are ideas for Sesame Street Party Games. 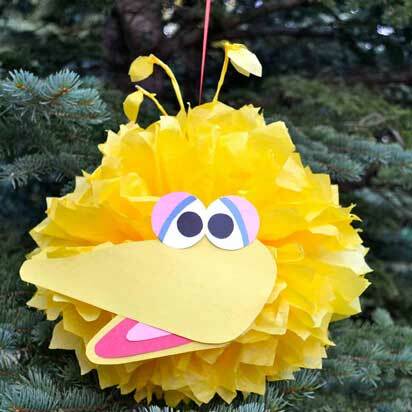 Don't forget to check out my other page of Sesame Street Party Ideas—with tips for invitations, food & drink, decorations, and styling. 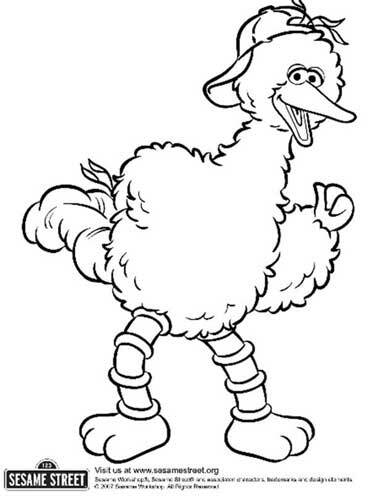 Check out the Sesame Street website for lots of free pictures like the ones below that you can print out to color in. 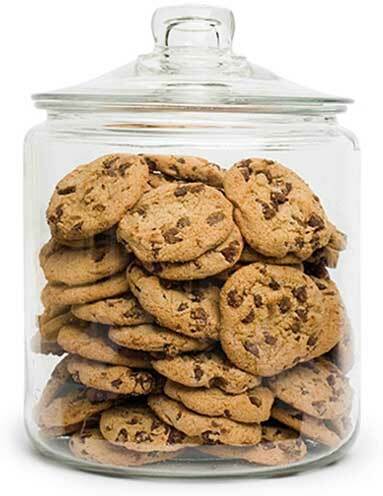 Fill a glass cookie jar with Cookie Monster's cookies and see if the kids can guess how many there are. Follow in Cookie Monster's footsteps and set up a little cookie bar with lots of different toppings, frostings, and sprinkles where the kids can decorate their own. 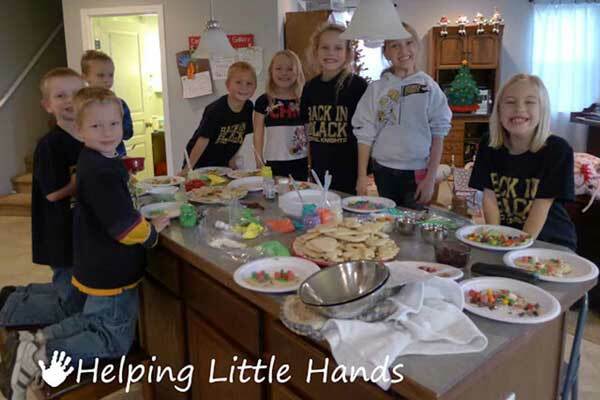 Check out these tips for hosting a cookie decorating party. 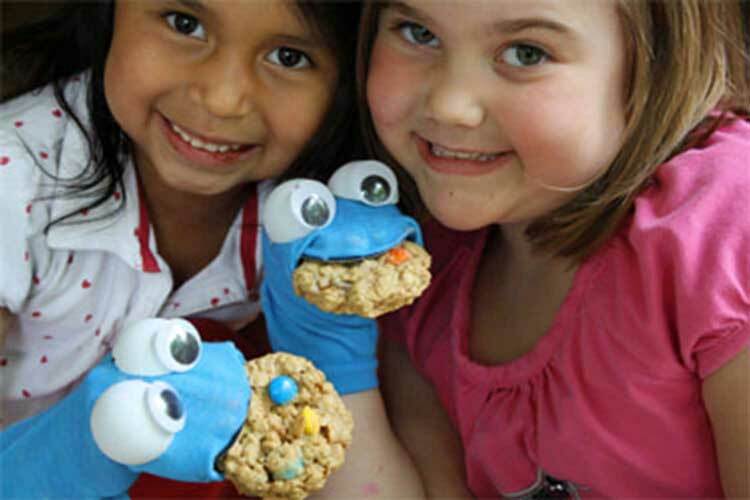 I always think it's a good idea to mix some craft activities into your Sesame Street party ideas so have the kids make their own Cookie Monster sock puppet using this tutorial (Below from from Alphamom). Have one of the kids volunteer to be Oscar. 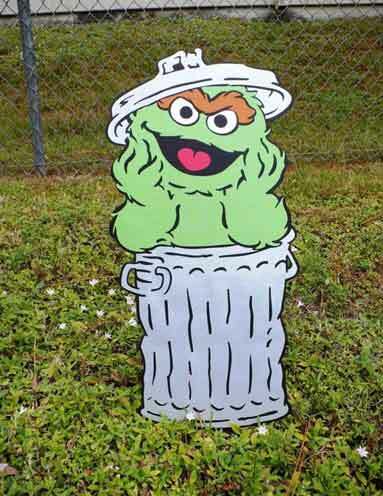 Have them wear one of these printable Oscar masks (from supplier 4) and crouch down inside a trash can (or make one out of a large cardboard box and cover with tin foil) at one end of the garden (Point B). Then split the rest of the kids into two teams. 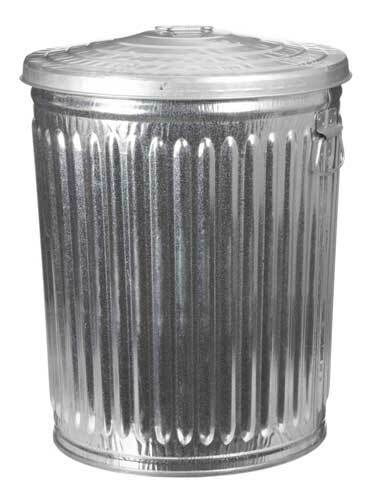 Team 1 goes to the other end of the garden (Point A), while Team 2 are split into two sub-teams and positioned either side of Point B, several meters away from Oscars trash can. 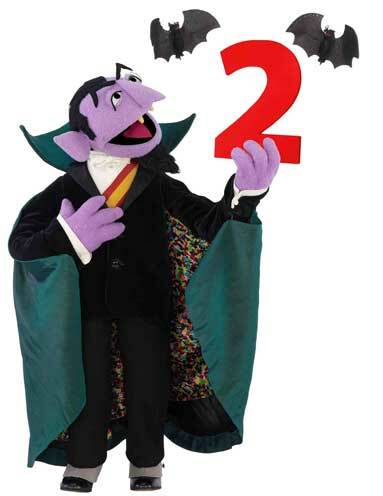 The object of the game is for Team 1 at Point A to creep one step at a time to Point B without waking Oscar. Team 2 has to try to wake Oscar by throwing tennis balls at Oscar's trash can. 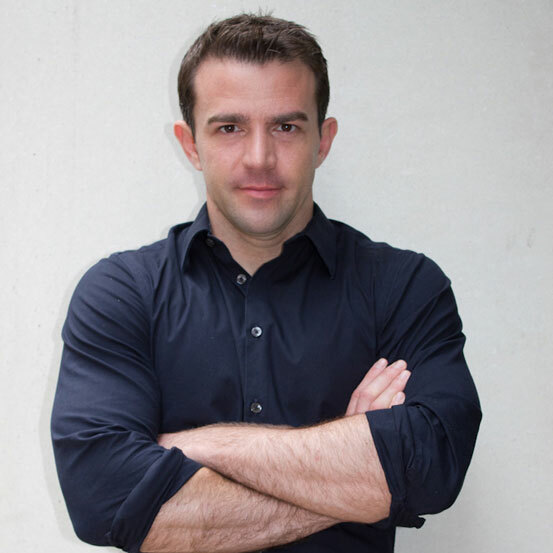 If a ball hits the trash can, Oscar will pop out for a few seconds and Team 1 have to freeze. If Oscar catches anyone from Team 1 moving they have to return to Point A and start again. 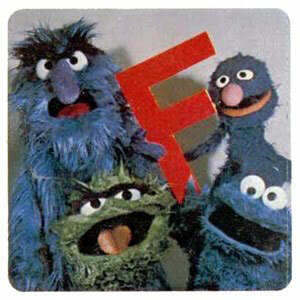 Team 1 can only win when all of its members have reached Point B. 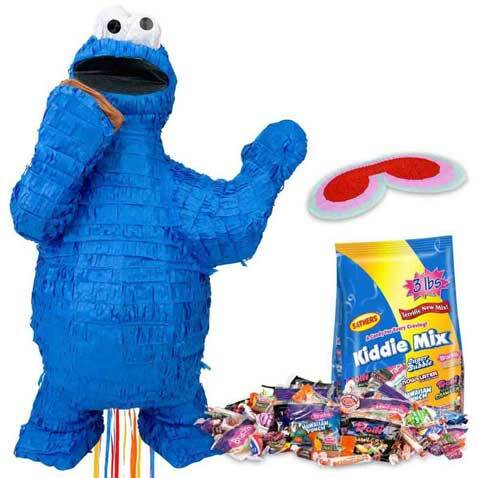 These draw string Sesame Street pinatas are perfect for younger kids as they can take turns to pull on a string, get them from supplier 1. 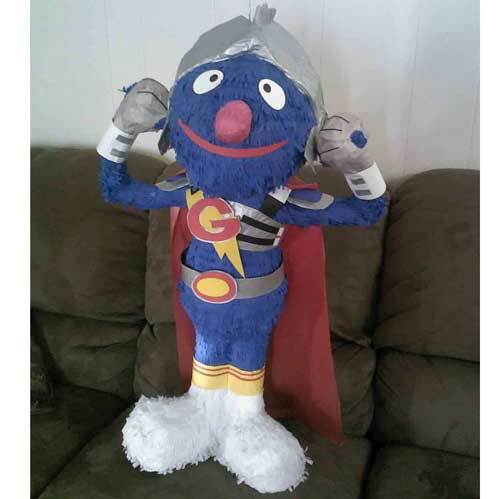 Alternatively, for something more delux, check out this cool Grovert pinata from supplier 4. 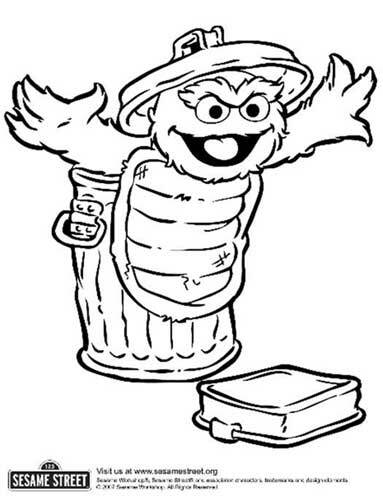 Create a simple target practice game by having the kids try to toss different objects into Oscar's trash can from different distances. Split the kids into two teams and play the game as a race, the first team to get all their objects in the trash can wins. You can make each one a little more difficult by adding handicaps such as throwing blindfolded, or while hopping on one leg, etc. 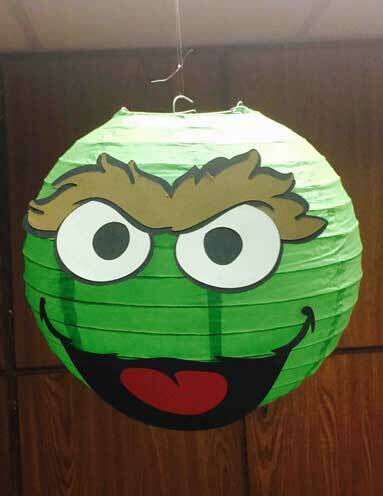 Pick up an Oscar cut out to position next to the trash can or simply hang an Oscar paper lantern above. Both from supplier 4. 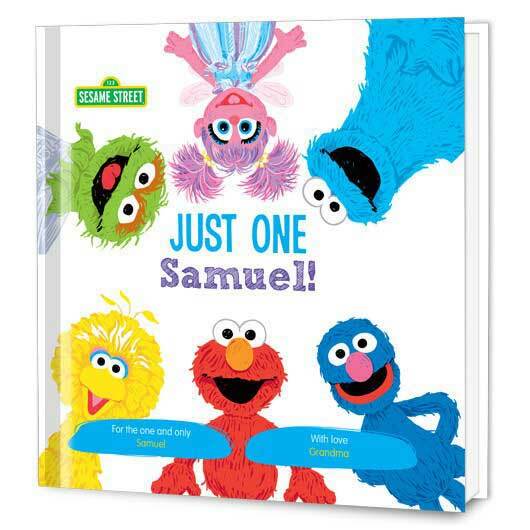 In addtion to these Sesame Street party ideas and games, I've also created a separate page for Elmo themed games and ideas. 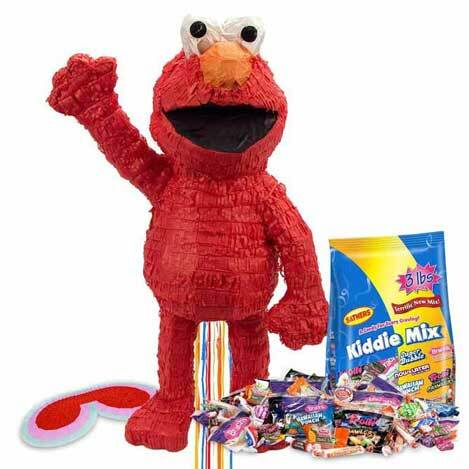 See the 'Dorothy's Lucky Dip' game on the Elmo birthday party ideas and games page and just substitute Dorothy the goldfish for Ernie's rubber ducky. 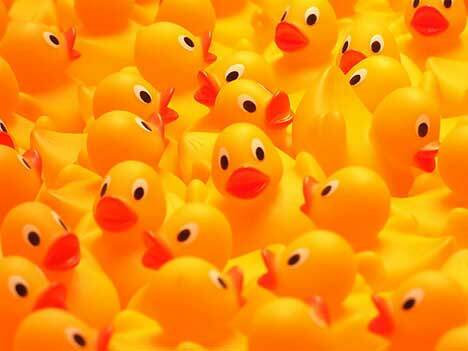 You can pick up mini rubber ducks from supplier 5, they even have lots of different themed ducks—from zombie ducks to pirate ducks! A variation of Pin the Tail On. 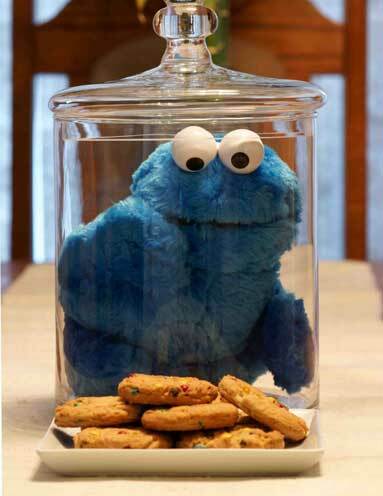 Make a cardboard cut-out of Cookie Monster and have the kids try to pin cookies onto his mouth. If they manage it you can reward them with a real cookie. 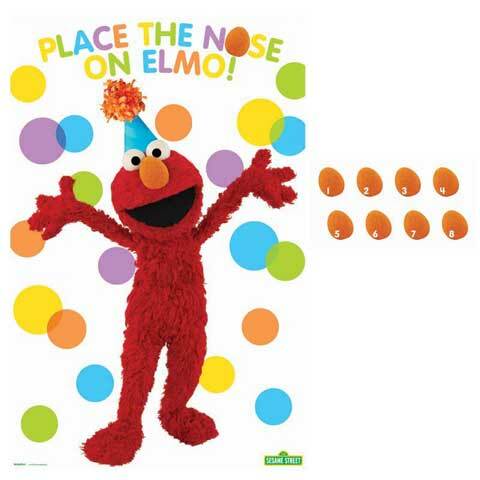 Alternatively, you can buy this version of Place the Nose of Elmo from supplier 1. 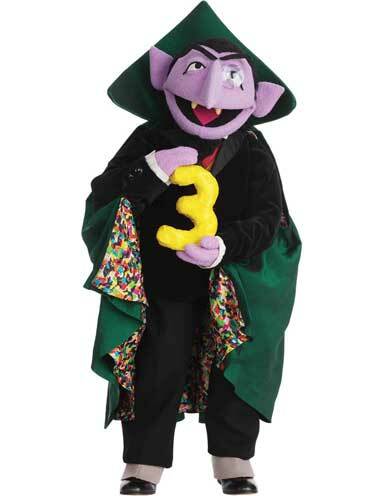 Play counting games by making different sounds (ex, a phone ringing, a balloon popping, etc) or showing them different objects and having them count along like The Count ('One ring' ah ha ha', 'Two rings ah ha ha', etc). 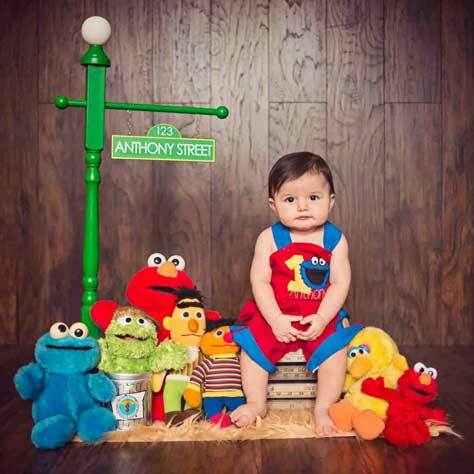 Put together an arrangement of different objects that all start with the same letter as your child's name. 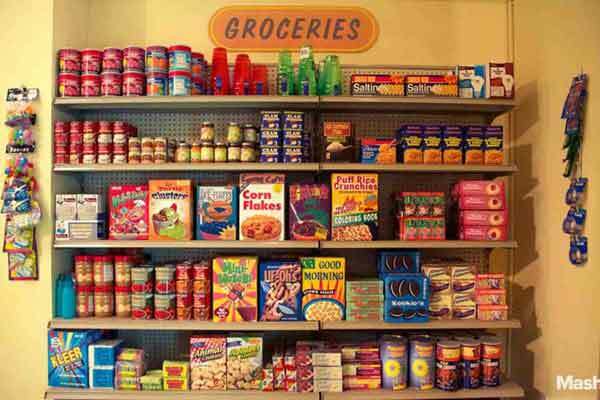 After showing the kids the objects, take one away and see if they can spot what's missing. 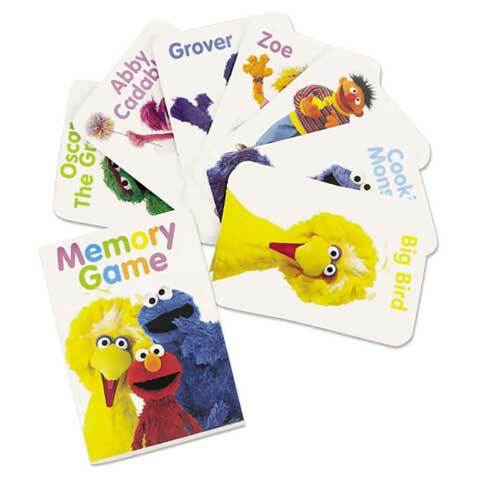 To tailor a memory game to these Sesame Street party ideas, use these Sesame Street memory cards from supplier 1. 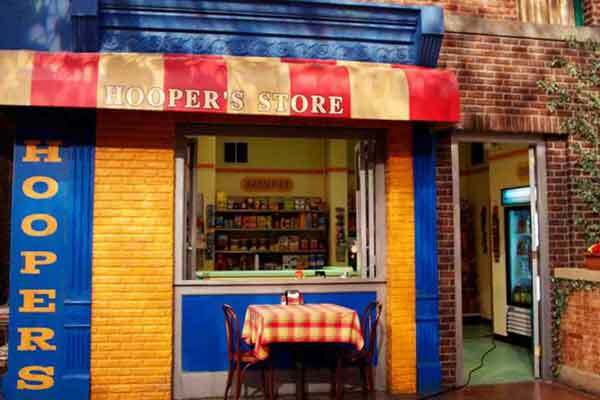 Have the kids sit in a circle and the first person starts by saying 'I went shopping in Mr Hooper's store and I bought...(then they chose an item), ex 'a bird seed milkshake'. The person sitting next to them then says 'I went shopping in Mr Hooper's store and I bought a bird seed milkshake and (then they add another item) ex, some chocolate chip cookies. This carries on around the circle with each player reciting the entire shopping list then adding their own item to it. If someone makes a mistake they are out and leave the circle, until there is just one player left who is the winner. 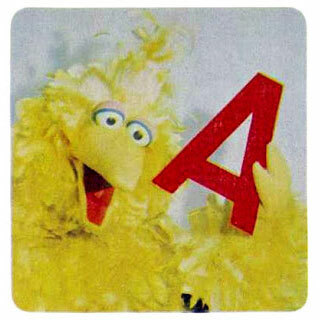 Choose a letter then have the kids write down as many objects as they can see in the room that start with that letter. 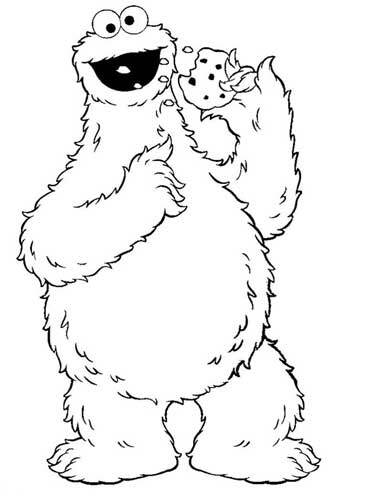 Kid's will love these Sesame Street tattoos from supplier 1. Just wash off with soap and water. 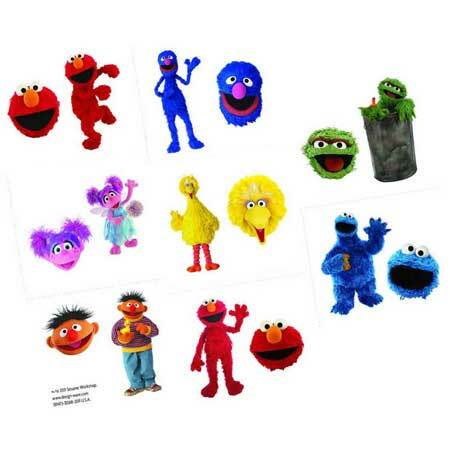 Give each child a printable Sesame Street mask from supplier 4 with a different character on it (make sure they can't see which one they are wearing). Then let them take turns to ask each other questions with only yes or no answers in order to work out which Sesame Street character they are. 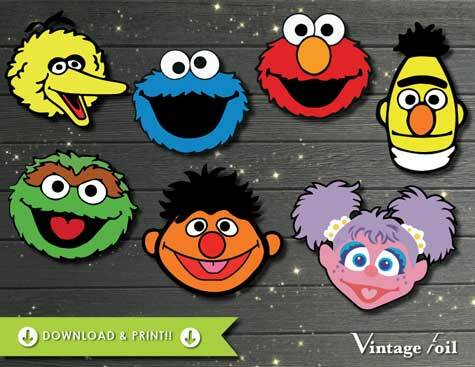 Use these Sesame Street medals from supplier 3 as prizes for the winner of each game. 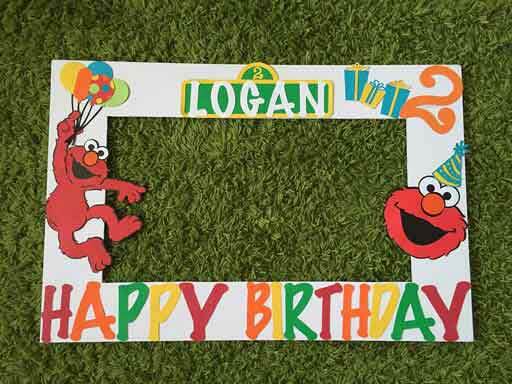 Use these Sesame Street photo booth props or frames from supplier 4 to create some fun memories of the party. You could send out a group shot with your thank you cards post event. 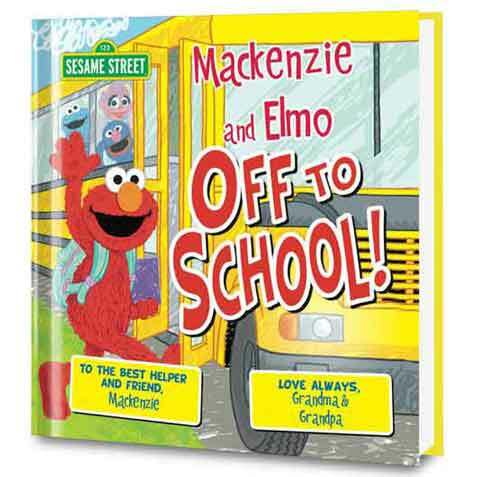 Put me in the Story creates personalized children's books that makes your child and their friends the stars of the story alongside their favorite Sesame Street characters. These make a great gift for the birthday boy or girl but can also be used to wind down the party with a group story time session at the end. 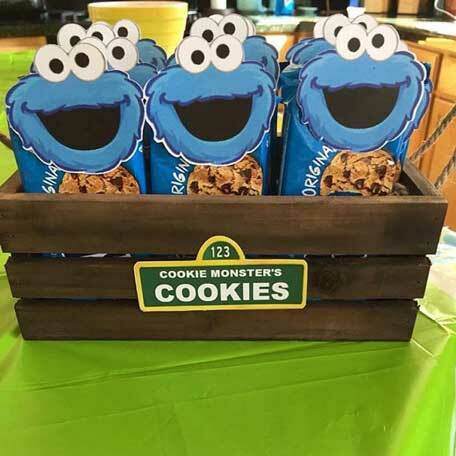 Don't forget to check out my other page of Sesame Street Party Ideas—with tips for invitations, food & drink, decorations, and styling. 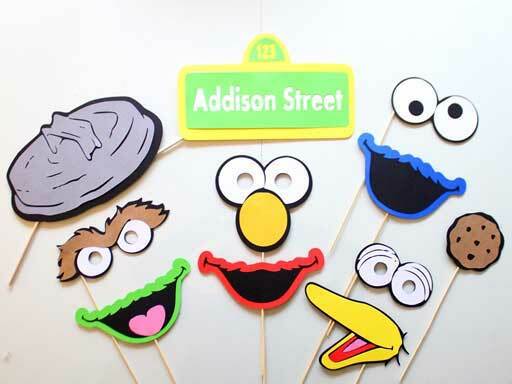 If you've enjoyed these Sesame Street party ideas & games, please help me to promote my website by sharing this page. Just click on the Facebook or Twitter buttons below to post a link back to this page. Alternatively follow the "Enjoy this page?" 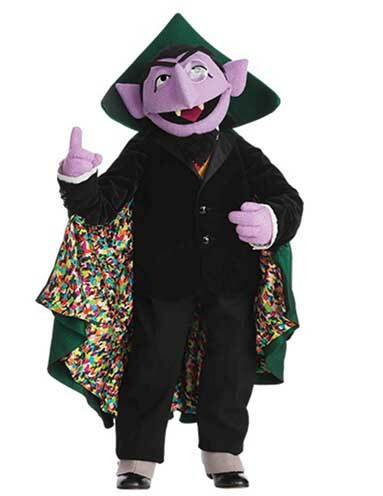 link under the logos below to get the address for this page of Sesame Street party ideas & games so you can paste directly into your own blog, website, or any forum that you contribute to.